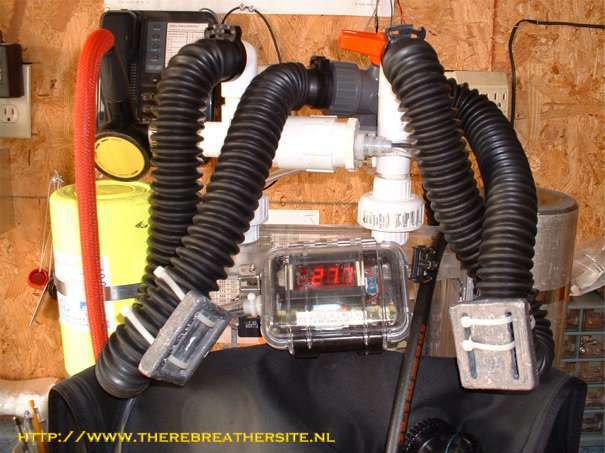 Ralph Buscemi first build a rebreather using the RG-UFM as a donor. Later he decided to build a model that is worn on the back. 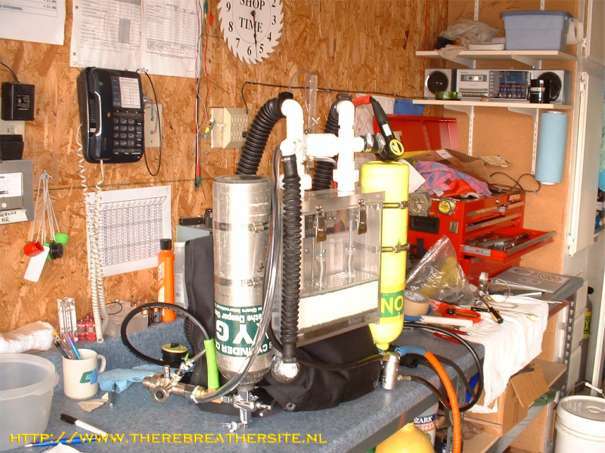 All the concepts of homebuild rebreathers contribute to the creation of new models. 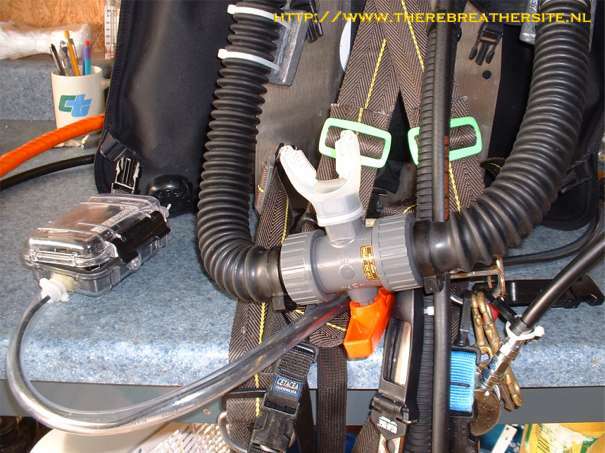 So if this article inspires you, don't hesitate to sent me your rebreather information! 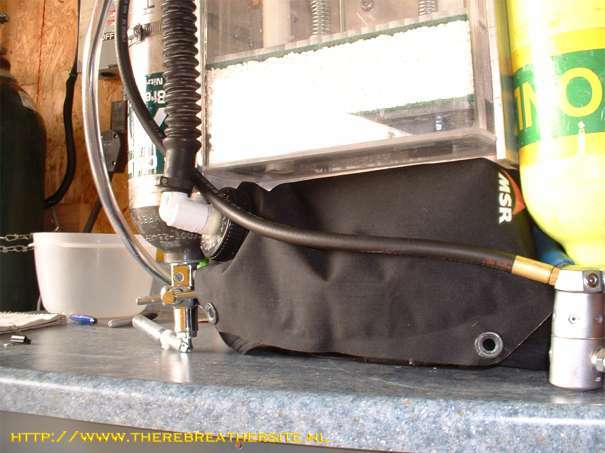 Here are some more pictures of my rebreather. 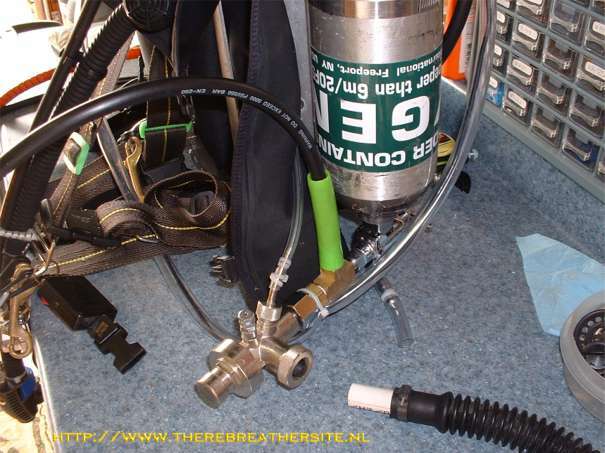 My rebreather started out as a modified German RGU-FM. I soon realized that I wanted a back mount and closed circuit. So I built this unit. I have had it to 120', 40meters. It worked fine to that depth. I used the RGU-FM oxygen addition unit, and a second stage for the diluent. I built the oxygen display from a LED display head. This wasn't going to be the final unit but I ran out of time to finish it. The next version was going to support full electronic controller. for upcoming classes and dive dates. Front of unit and display head, worn on wrist. 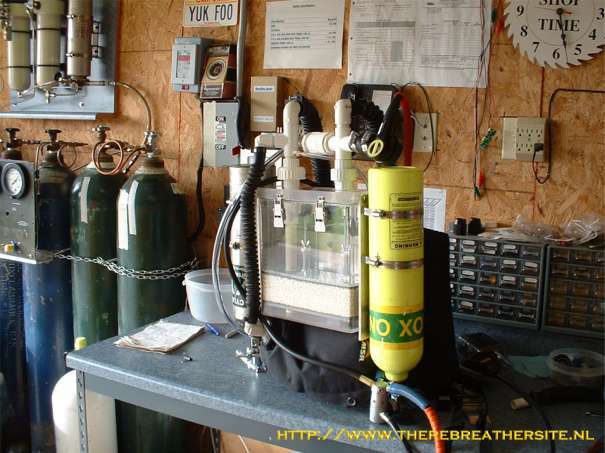 RGU-FM Oxygen addition, modified to fit a standard oxygen cylinder.